Description 3D Downtown Parking is one of the top games at this moment. With really stunning graphics and car handling this game is really fun to play. You can choose between a real Mustang police car, an ambulance or a tow-truck. Every car has his own handling and assignments. Complete the level as fast as possible to earn the 3 stars and collect points. Every level is different which gives this game an unique 3D parking experience in a cool scenery with the best visuals. 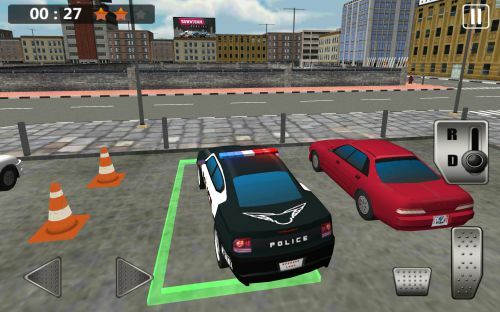 Try to avoid the obstacles and play this 3D parking right now! Controls Use arrow keys to drive the car. Use A and Z to use gear.